（株）ドニゴール – アパート （株）ドニゴール. 地図 （株）ドニゴール, すべてのアパートの写真とレビュー （株）ドニゴール. Slieve League; the highest sea cliffs in Ireland and possibly Europe An Port - an abandoned famine ghost town Silver Strand, the most pristine beach on the planet Many walking trials as well as being on the Irish part of the Apalatian trail. A folk village showing life in rural Ireland as it was over the last 300 years etc. The staff are very helpful with showing you places of interest and also really friendly remembering our first names. The location is perfect for those who want to see natural beauty and everything is very close by. Hiking and swimming is on your doorstep and the views from the hostel are amazing. They also have an open fire to relax after a busy day. Le site est magnifique, le propriétaire est très serviable et accueillant. 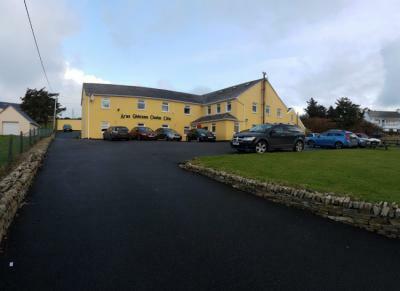 It has the most beautiful views of the rugged Donegal coast. Other than that, the hosts were great and the facilities were good. We had hot water and a heater was provided in case it got cold. All around great value for money and a wonderful place to stay.